HEALTH & SAFETY / LICENSING Live event industry Licensing experts Poppleston Allen has launched the latest edition of The Licensed Trade Guide. The booklet provides a run down on the details of the new Licensing Act. It covers areas such as the role of the licensing authority, licensing objectives and licensing policy, whilst also explaining the decision process behind the granting of a licence. Seehttp://www.pactltd.co.uk/ . COPYRIGHT Music publishing, internet 16 online music services including Apple, iTunes AOL Music, Sony Connect, RealNetworks and Napster are facing new legal actions. 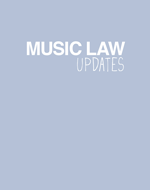 A number of music publishers including Euro Tec Publishing, Bruce Caplin, Prestoons Music have filed the action in the District Court of Los Angeles. Customarily licences are available so that publishers cannot refuse to license previously recorded and released songs, but it is argued that the online music services did not comply with the requisite formalities.